Is your wedding coming up soon? Have you planned everything well? Whether you are planning a formal event or something casual you have to make sure everything is just right. You don’t want to run around doing things at the last minute, but focus on the most important thing of the day – each other. Weddings in Bangalore are becoming more and more extravagant by the day. Every couple wants to have the best they can afford on their special day. There are some really innovative ideas for wedding parties coming up these days. No matter what kind of wedding you are planning, you will need to find the perfect wedding venue for the day. To find a wedding venue in Bangalore is not an easy task because of the vast number of choices that you have. Wedding is once in a lifetime event and you deserve nothing but the best of everything. You also have to make sure that you don’t go overboard with your wedding expenditure. Here are some of suggestions for the best wedding venues in Bangalore. 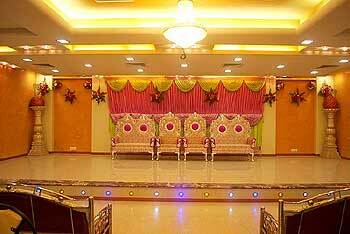 Taralabalu kendra community Hall is one of the best locations for wedding parties in Bangalore. It is located at R.T Nagar, Bangalore and has some affordable rates for their wedding plans. The Chandana Palace Kalyana Mandap is also a perfect place to hold a traditional wedding in Bangalore. You can make your wedding day the most cherishable event of your life by planning your wedding here. It is located in Vidyaranyapura Main Road. The Pride Hotel is yet another sought after wedding venue in Bangalore. Though this is an extravagant place, the hotel offers a full range of wedding services and would be perfect for everyone who wants to make their wedding grand. They offer several themes of decoration for your wedding day. Hotel Trinity at Cottonpet is also a good wedding venue in Bangalore. 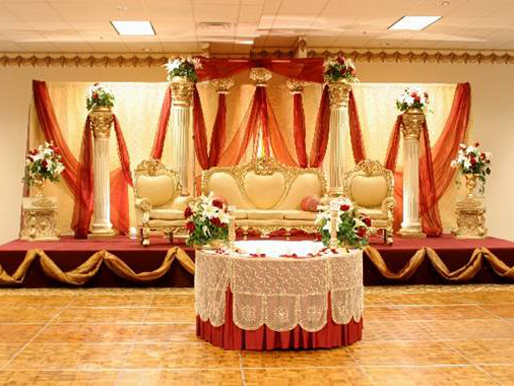 They have a 2000 sq feet hall which can comfortably accommodate the wedding ceremony and reception perfectly. The 6th Avenue Hotel is a perfect venue for a couple who wishes to have an extravagant wedding party in Bangalore. With prudent lighting and amazing decoration, they can make your wedding nothing short of a fairy tale. Hotel Pai Comforts has a roof top wedding hall which can accommodate more than 2000 guests. This venue is perfect for anyone who is planning a themed wedding in Bangalore. There are several more wedding party venues in Bangalore. You must take a look at the best places that are close to your premises and choose the one that fits well in your budget. Kids parties in India are now getting more and more elaborate. Every kids wants a birthday party today and parents are out to make it the best day of their life. So, organizing birthday parties in Bangalore is now becoming a really hectic task. Finding the best venues for kids party in Bangalore is one of the biggest task. Some years ago, birthday parties were small events organized at the kids homes with their closest friends and relatives. However things have changed for the better now. Your kid must have the best birthday party that you can afford and for this you need to do some research. It is easiest to find a party venue that will take care of the food for the kids as well. Fast food joints like KFC, McDonalds, and Pizza Hut are becoming the most popular party venues in Bangalore. Such party venues in Bangalore also take care of the decoration and the games for the party. They will take care of the arrangements while you can sit back and relax. Fast food would be the choice for kids party food any day. With an endless supply of pizzas, burgers, fizzy drinks and other crunchy delights, such venues would be a sure hit with the kids. They could also have the occasional juggler or the magician to bring in more fun. 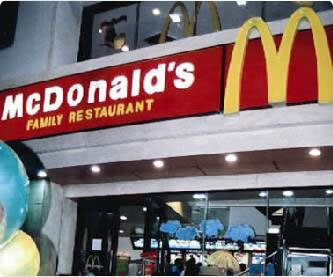 There are other venues like Marry Brown and McDonald’s which are popular for their kiddy-sized meals, toys and balloons. The kids would also love to have their picture taken sitting next to the clown. If you are holding the party for teens, then you could go for a place higher like Amoeba. The bowling alley and gaming fun along with the great food will keep the party a hit amongst the kids. 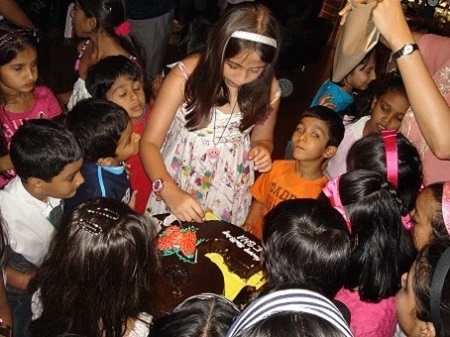 It could definitely cost you a lot to hold a birthday party in Bangalore, but it would be a joy to watch your kid and her friends enjoy the whole effort. Another good party venue for kids in Bangalore is Jaamba Jungle where they have coin-operated amusement games, video games and a soft play centre plus a multi cuisine menu especially designed for kids. A resort like Club Cabana would be really expensive, but if you want to have huge play areas and water rides, then this would do perfect. Other favorite places include Cubbon Park and Lal Bagh. Their open landscapes and toy-train rides are what make such venues a good spot for kids birthday parties. Email invitations are becoming more popular by the day, mainly because of the convenience it offers. Along with the convenience, using online invitations for your party or event is the more reliable way as well. Generations now have much more acquaintance with emails than postal mails. Your friends and relatives definitely check their email box more often than their mailbox. When you send an online invite, it reaches the intended recipient almost immediately. When you send an invitation by post, you have to send it much in advance so that your mail gets delivered well before the party. RSVP in this case is also much more time consuming. The guests have to give you a call to confirm if they are attending the party or not. When you use free online invitations, you can get things done much easier. You just have to choose your favorite template, enter all the important details, check the preview of your card and click send. As soon as you click send, the guests start getting their invites. Most of them would get an email notification on their Smartphone. Free online invitation tools like Yoovite allow the guests to RSVP immediately through the email they received. Thus, they can let you know if they will attend the party or not as soon as they see the email. With the easy to use RSVP option, your guests will find it more convenient to respond and hence they would do it as soon as they can. This way, you can get a count of the guests expected well before the party and thus arrange everything accordingly. Online invitations have definitely made party invitations much more convenient, economical and reliable. Are you planning a party soon? Make sure you use free online party invitations to save time and money. Baptism parties are celebrated in all Christian families. Some of the Christian communities hold it before the first birthday of the child and some other celebrate it after the child turns one. The difference is that now baptism parties in India are becoming much more elaborate and exciting. For a baptism party, we would want to invite all our dearest friends and relatives. Writing out the right words on your invitation cards is always a big task and you will definitely need to spend some time on that. Here are some good suggestions for baptism invitation wordings. A child is a precious gift from God and Baptism is God’s gift wrapping. Baptism is a very important function and must be celebrated in great honor these days. You can find the best range of Baptism party invitation cards online now. There are several free online invitation tools, which offer a wide range of templates for Indian invitations for baptism. Having an office party once in a while is very important. You need to get along with all your colleagues and a party would be the best time to get along. Almost all special events are celebrated in offices today. Office parties are usually held with lots of music, food and drinks. However most of the office parties in India do not include alcohol. Here are some tips to arrange an office party in India. Decide the date for the party: Office parties are usually held on a working day. However, if you cannot afford to lose a working day, then you must decide to hold the party on a weekend which is convenient to all your employees. Before deciding the date, you can hold a meeting with all employees and then choose the date that suits majority of them. Decide the venue: After you have decided the date, you need to choose a nice venue for your party. If the office premises has a nice hall or outdoor area to hold a party, this would be a nice choice. Otherwise, you must choose a hotel party hall nearby where you can organize a perfect office party. Send out invitations: You can choose free online invitations for office party from online invitation sites like Yoovite. Choose a good template, enter all the details and send the card to all employees at once. The employees can RSVP on the site as soon as they see the card. Food for the party: You must organize food for the party according to the number of employees attending the party. Almost all the hotel party halls in Chennai, Bangalore, Kochi and other major cities offer the hall for free, but the food has to be ordered from them. You must also have some good entertainment for the party. A DJ party is a good idea, however the expenses can be quite high if you are hiring a top DJ. If you want to keep the budget low, then you can get some of your talented employees to hold some good programs for the day. You can also have a simple dance party where all the employees can just have fun dancing with their friends. You can also organize some interesting games for the party. You can ask your employees to suggest games for the party. This way you can make sure that you organize games that are interesting to all of them. Choose a dress theme: You can choose a good theme for your party and then ask your employees to follow this theme in their dressing for the party. Have fun: Make sure all your employees have a lot of fun on the day. Don’t get too busy with the organizing on the day of the party. Organizing a birthday party can really be a fun event. You must plan well in advance so that you don’t miss out anything for your little one. A birthday party in India is not just about inviting the guests to a dinner at home. You must also put in some effort to ensure that everyone has a good time at the party. Kids birthday parties in India are becoming really elaborate events and it is important that you keep these tips in mind when you are organizing one for your kid. The theme for the birthday party: It is important to choose a theme for a kids birthday party. The theme that you choose should depend on the age and interests of the birthday boy or girl. For a five-year-old boy’s birthday party, a pirate’s theme would be a great pick, but girls of the same age would prefer a Barbie or princess theme party. If you are organizing the party for a teenager, then it would be best to include some loud music and a live band with a dance floor. Prepare your guest list: You must not miss inviting anyone for the party. If you are organizing a kid’s birthday party, make sure you invite all his friends to the party. You can also include his/her dearest cousins and other relatives. If you are planning a surprise birthday party, then you must take care not to spill the beans before the D-day. Decide the venue: After you make a rough list of the guests, you have to decide the venue for the party according to the number of guests. You must choose a birthday hall in Chennai that suits all your requirements. It must comfortably fit all your guests and provide all other facilities that are required for the party as well. Make sure you book the hall in advance so that you don’t have to run around looking for another one at the last moment. Most of the party venues in Chennai also have special birthday packages, which would include almost everything that you need at a reasonable price. Send out the invitations: You can use free online invitations for birthday parties to invite your guests to the party. The online invitations offer an easy to use RSVP option, which enables your guests to respond immediately and hence thereby let you know if they would be able to make it or not well in advance. Choose a good menu: This must depend on the time of the party and the age group of the guests attending the party. For a kids birthday party, it is best to include a little junk food as well as they would enjoy this better than anything else. Fried chicken, burgers, Fries, Pizzas, Pastas and Noodles are the kind of food that kids would enjoy. You must also arrange some special food for the elders attending the party as they would most probably not enjoy junk food. Entertainment is also important: It is also important to organize some nice entertainment for the party. A clown or a magician would be a great choice of entertainment for a kids birthday party. For the teens, you must also include some nice interesting games along with the music and dance. Decorate the party venue: You must organize the decorations for the party venue according to the theme of the party. You can usually ask the party hall organizers to do this job for you. This is mostly included within the birthday packages offered. Have some return gifts as well: Most of the kids attending a birthday party expect a gift in return. Find small gifts like pen stands, candy or small toys that can be given away as presents. Planning and organizing a birthday party can be a really easy task if you follow these tips. If you can afford an event manager in Chennai for the day, it would make your work so much easier. Don’t forget to have a great time at the party! No matter what kind of event you are planning, choosing the right venue for the party greatly influences its success. Since there are so many party venues in Chennai, choosing one that fits your needs is not an easy task. 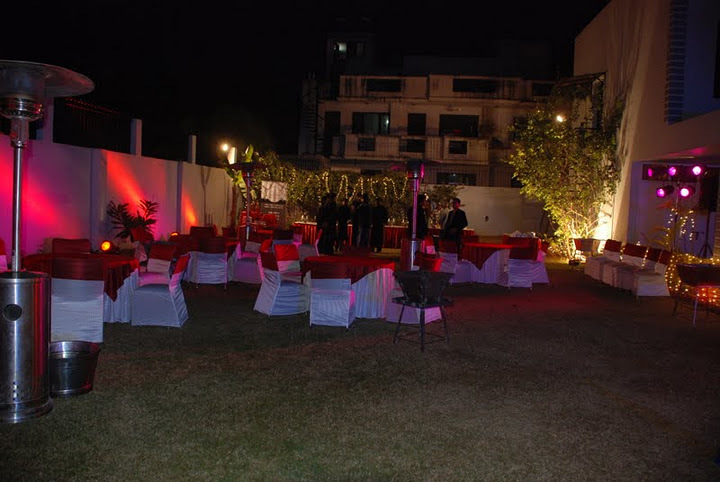 Here are the steps that will help you choose a party venue in Chennai. List down your options: There are plenty of party venues in Chennai. Some of the most popular party venues in Chennai are Ramana Hall, MGM Convention Hall, Image Auditorium and Golden Palace. Ask around all your friends and family and based on the venue you are conducting, list down the main party halls in Chennai. Make a visit to the venues: You must rely on photographs and reviews only to make your final decision. You must make a visit to the venues and see for yourself the amenities provided and decide the venue that will fit your needs the best. Take note of the facilities and amenities: When you go around checking the party halls in Chennai, list down the amenities and facilities for each hall. It is best to note everything down so that you don’t miss anything when you make your final choice. Check if the venue is available on the particular date: before you make your final choice, you have to make sure that the venue you have shortlisted is available on the date of your function. Book the venue: if you have made a choice of the venue and decided to go forward with it, then it is important that you make an advance booking for the hall. Don’t keep that for a later time, because there are chances that someone else could book it for the same date before you do. Organizing a party in Chennai is not an easy task. You must put in some effort to plan your event well so that everything goes off smoothly. Use online invitations from Yoovite to invite all your guests. The easy to use RSVP option for these free online invitations makes things easier for both you and your guests. When you use online invitation tools, you can also easily send a thank you note to all your guests after the function. Almost every Indian wedding in Mumbai, traditional or modern, will have a reception party after the wedding rituals. The reception party is organized for the guests to meet the newlywed couple, congratulate them and bless them. The wedding reception ceremony is often more crowded than the actual wedding ceremony. This means you need a lot of planning to organize a wedding reception party in Mumbai, Bangalore or any other city in India. If you have all the details required beforehand, things become much easier. There are hundreds of wedding receptions in Mumbai every day. So, it is important that you plan everything from the wedding reception venue in Mumbai to the caterer for the occasion well in advance. 	Tip: Maintain a checklist to help you plan the wedding reception function. Decide your guest list: This is one of the first decisions that you have to take after the date for the wedding reception is fixed. You must make sure that you take a little time and organize the guest list before you start sending out the invitations. Choose the venue: There are several wedding venues in Bangalore that you can choose from. Simply do a search online to find the best wedding reception venues in Mumbai and user reviews on the venues. Some of the best venues for wedding reception in Mumbai are Maa Kripa Banquet Hall, Thane West, Srinathji’s Restaurant & Banquet Hall, Malad West and Trident, Bandra Kurla , Bandra Kurla Complex. Send invitations: Now that you have decided the guest list, date and venue for the function, you have to now send out your invitations. Make sure you inform all your guests well in advance so that they can arrange to attend your wedding reception in Mumbai. 	Tip: It is best to use online invitations for wedding reception. You can find a wide range of invitation cards for Indian weddings at www.yoovite.com. The easy to use RSVP option in online cards makes it easy for both you and your guests. Arrange a wedding caterer: After you have decided the venue for the function and invited everyone, you have to arrange a wedding reception caterer in Mumbai for the day. There are several wedding caterers in Mumbai and some of the most popular among them are Swad Caterers, Kirti Caterers, Jain Caterers, Jyoti Caterers and Saaj Caterers. 	Tip: Check the online reviews of the caterers before you make a choice. It is the most important day of your life and you definitely don’t want to make a mistake. Managing tasks on the day: If you don’t want to be troubled with the arrangements for the day, simply hire a wedding planner in Mumbai. There are so many wedding planners who can take care of everything from decorations to anything and everything for your wedding celebrations. Some of the best wedding planners in Mumbai are Centre Point Events, Tradition N Trendz Event Management, Biz Bash Events and Xposure Events. Be it any kind of party in India, it is getting really elaborate and complex these days. The number of guests has increased by many folds and the arrangements that have to be made have become really complex. It is becoming really tough to find the best party venues in Bangalore these days. It is almost impossible for the hosts to individually take care of everything related to weddings in Bangalore these days. Most of the weddings in Bangalore are today organized by catering services and wedding planners in Bangalore. When you can entrust the wedding planning tasks to a reputed wedding and party planner, you can take it easy and enjoy the wedding to the fullest. Organizing events like weddings are now becoming a cakewalk in cities like Bangalore, Chennai and Pune because of the large number of wedding planners available in these cities now. The only decision that you have to make is regarding which wedding planner you are going to choose for your function. There are4 so many choices available out there and it is getting really tough to make a choice. So many wedding planners in Bangalore can now take care of everything related to a wedding from decorations to arranging the food for the party. Some of the best wedding planners in Bangalore are as follows. Sri Durga Catering is one of the best choices for wedding catering in Bangalore. They can take care of all the decorations for your wedding venue as well as the food and entertainment for your party. Nammoora Hotel in JP Nagar is also a great choice for catering services in Bangalore. They offer a very fancy vegetarian menu and can cook out food for more than 250 people in one go. TJ Wedding Planners in Bangalore is a great choice for wedding planners in Bangalore. They can do everything from decorating the venue, to arranging the food, music and photographyyou’re your function. For inviting everyone to the party, you can now use free online invitation cards from Yoovite.Com. With a wide range of templates to choose from, online invitations are the best choice for any Indian party now.